I say that because of this. 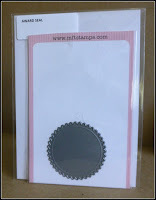 I love the adorable and fun stamps that Stampingbella makes. 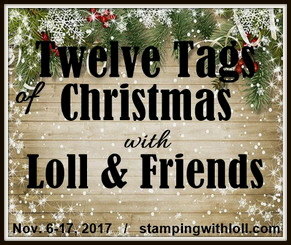 You'll be seeing a few of their stamps featured in posts to come because, well, because I just bought a bunch, okay?! Mt. NBUS is excavated to the point where I can now see over it if I stand on my tallest ladder tiptoes, so I felt Justice Fied. This NBUS tiny townie stamp is called "Penelope has a pencil." The "Hi." is a separate stamp in the same set. The written words panel is also NBUS. It's from the "Out Loud" set by Casual Friday Stamps. I stamped it off on a piece of scratch paper first so that it would look soft and not overpower Penelope. Less Is More: Use 3 stamps. Pals Paper Arts: Colors: wisteria, daffodil, and pool party. Simon Says Stamp Wednesday Challenge: Make it girlie. Virginia's View Link-Up Party: Miss you, hello, any type of friendship. 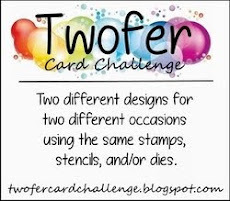 Sometimes I make a card and then find challenges that coinkiedinkly match and sometimes a card is born directly as a result of seeing challenges. Either way, I want to say thank you to all the Challenges People for lighting warm fires of inspiration all over Blogland!! Does anyone know what's going on with JoAnn's? I sent the company three emails in the last couple of weeks regarding a problem with a gift card (after going to phone hell first). Each time they sent me a receipt saying I would hear back within 24-48 hours, but that didn't happen. (I checked my spam folder.) And BTW, they charged me a dollar fee for the gift card, which I've never had a company do before! I'm not a happy costumer and I needed to vent, so thanks. But have you heard that JoAnn's is going out of business or something? Cousin, this is odd. The directions for entering can be found by clicking the Giveaways tab. You have until April 29, 2016 to enter. Please give a warm welcome to these new friends! Ladies, come on out! NieNie Sambuco of SambuCOrona Papercrafting Adventures. NieNie began blogging in February 2015. She only posts now and then, but I think her creations are fabulous. She has a vivid and very creative imagination. And she recently made a quoteworthy statement on her blog: "Even the unintentional can be beautiful." We've all found that to be true, haven't we?! Jamie Martin of Stamp This! Jamie started blogging in - whoa! - 2007! She is a pro at it, that's for sure. Put a pillow behind your back because there's a lot of inspiration and tips and tricks waiting for you when you visit Jamie! Kay Wallace of Art From the Main House. 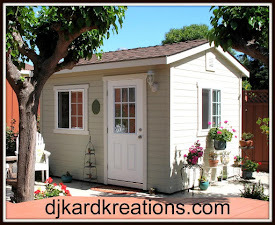 Kay and I could retire away together, she in the Main House and me in the Playhouse! Kay has been blogging since 2012 and loves playing in challenges. She has also served on many design teams! Her works of art will blow your socks off so you'd better put your garters on! Carol of Crafty Carol's Cards. Carol only just started her blog in January of 2016, so please pop over now and welcome her to our supportive community in Blogland and leave her some encouraging words about her lovely cards! Sharon of From My Craft Desk. Just like Carol, Sharon has only been blogging since January of this year, so ditto the above! Sharon, too, makes terrific cards, especially for the Less is More challenges. It feels so great to give back and remember how thrilled we were to have visitors and receive comments! For that matter, how thrilled we still are! I love this! Penelope is so sweet and the card looks great with the stamped text band underneath. Another gorgeous card from you! I LOVE this, so so sweet! Very special card. Love the image. Now that is one stunning card Darnell - glad you got Hammy and co distracted so they could not be nosey!!! Penelope really is adorable, even without a nose and mouth - what a great stamp, I love the large pencil. I think I would be tempted, like Hammy to add a nose too... I love her purple hair too! I cannot help with the Joann question, I have never heard of a company charging extra for a gift card either. A+ adorable! Love how you stamped the text too! Awwwww, thank you for the kind words, new friend! I am just catching up on my crafty RSS feed (nearly 300 posts! but from 80+ blogs :) and happened to catch this. You made me smile. Apparently, even your black Ziggie (or your camera flash) knows that wisteria is a lovely color! A lovely cute card - such a pretty image. Gorgeous card that is colored wonderfully! I love that her hair has a purple tint to it. Giggled at the hamsters wanting to add a nose. Yep, I've even wondered how these images can keep from keeling over. I've not heard a peep about Joann having issues, but it seems odd that they would charge for a gift card. Certainly, their customer service could use an upgrade or something! Good luck getting a response. Maybe contact their corporate offices and see if that helps. Gorgeous card, Darnell. I love her wisteria hair. Nothing wrong with being a bit unusual. Sorry I can't help with the Joann's issue, but hope you get it sorted. Loving sweet little Penelope! Adorable CAS card, Darnell. Thank you also for turning me on to the Challenge at Virginia's View! I sure hope they aren't going out of business :( in a city as big as Phoenix, it's one of the only places for me to get fabric ... seriously ... sad, but true!! I love love love love your card!! LOVING the little girl and that pencil!!!!!!!!!!!!!!!!!!!!!!!!!!!! Adorable little girl image. I love that giant pencil. I don't know about Joann's but I empathize with you. I have been having so many problems with poor customer service at several places recently. Bravo Darnel!!! She is a cutie and I can see why you found some justification in buy a "few" of these stamps. This is adorable!! I LOVE this image and you did a fabulous job using your Zigs on her!!! As for JoAnn's-that is really weird. I hadn't heard they were going out of business. This would be sad!! Oh, I love your fabulous take on the sketch, Darnell! 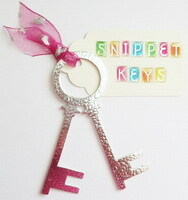 It's so clever and super sweet! Oh, I love your clever take on the sketch over at CTS, Darnell!!!! (I'm still trying to figure out what I'm going to do with it!!!!) Your little Penelope is sooooo sweet (not having a nose - can sometimes be a good thing, hey!!!!) I keep looking at your cute card, Darnell - I really think you've got a winner here!!!! Beautifully coloured, too!!!! Very cute!!!! Love that image and wisteria hair is really rather nice I think! Oh my this is adorable! The writing behind the image just rocks! Fabulous CAS! Love Penelope under this writing stamped stripe! 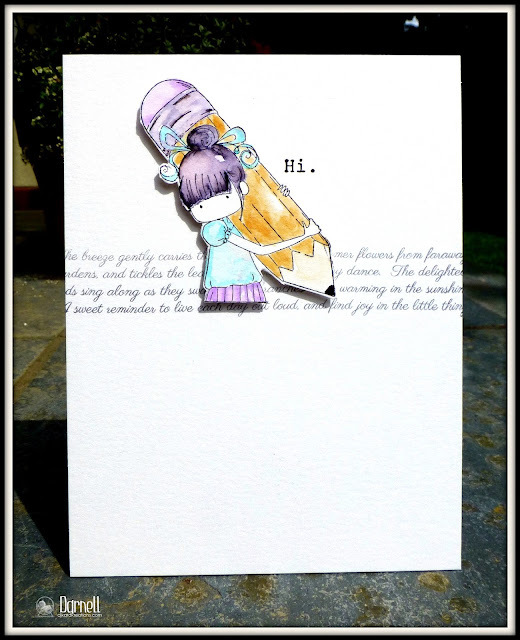 Cute card...love the background strip of writing. Thanks for sharing at Less is More! Sorry you are having so much trouble with JoAnn's. I have never had any problems like that. Hope you get it resolved. 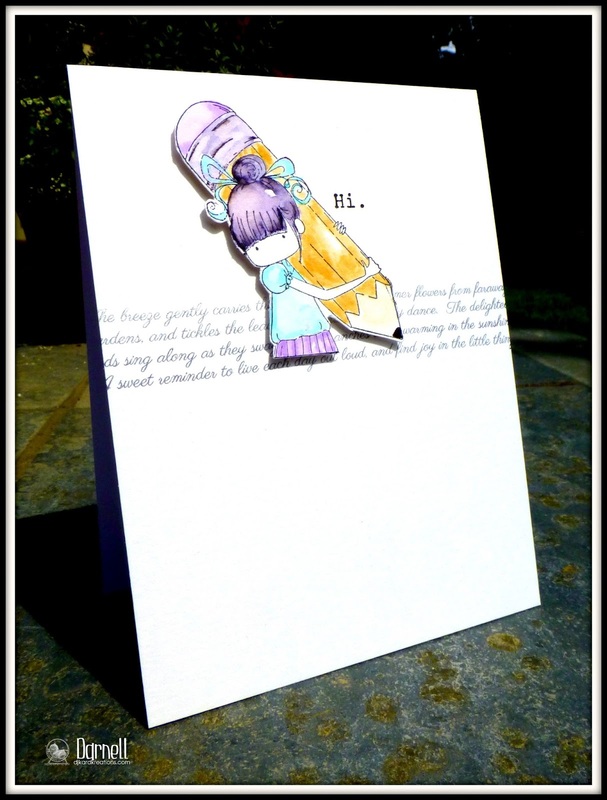 Think you must have been inspired by wisteria...this little girl and her pencil are completely adorable. Love the cursive background. (Have they really going to stop teaching in schools. The answer is yes, me grandson can't read it, at all. Okay, enough of my rant, I'm here about your card.) Love these colors of course but love the design, more. Kudos. Not heard anything about JoAnns. But that certainly is lousy customer service. Ugh! This is SO cute, Darnell. So, so, so very cute... Isn't she a sweetie? Hi Darnell! Such a sweet card and SO PERFECT for all of the challenges...especially the CTS. I am eyeing this sketch and thinking on it. Well, here is "Hi" back to you. I love the darling card you made as well. Have a wonderful weekend. Very cute! I have seen lots of complaints on twitter about Joann's. Not sure what is going on! So sweet. I really love the text behind. Amazing card and a super nice motiv. I like the simplicity and a great effect of it. I was thinking that stamp set ought to be called Penelope Needs Help With Her Giant Pencil, but I'm no marketing genius so what do I know. I actually think her purple hair is cute. It gives her a modern "I can do what I want" vibe and she pulls the look off beautifully. Your design is fabulous and I love how you incorporated her shy "hi" with the elegant script in the background. The juxtaposition is flawless. Gorgeous card. I don't mind the colour of her hair - I thought it was meant to be that colour! Penelope has a pencil...golly gumdrops that could be my Sweet P in a few years!! This is so CUTE Darnell, love it to bits. The text in the background is perfect. This is a darling CAS card!! Your new stamps are adorable, love the sweet images! Can't wait to see the rest of your new stamps! 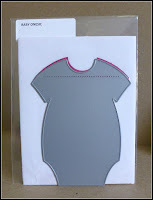 Finally getting some time to hop around and 'bisit' my crafty friends...this is such an A-dorable card Darnell! I know what you mean, but I feel that way not only about noses, but mouths too. I guess I am the "full face" type person! I think you should make another and let those hamsters have at it! Beautiful card Darnell love how you did the writting underneath the image and I love her hair colour. Totally works. Did you check junk mail box I just found two emails from memory box in response to emails I sent them. I thought they were being so rude and they had replied straight away and offered a solution. I love this design Darnell... it's a real cutie! Man is Penelope adorable. I love her noseless little face. And I think the abundance of purple is pretty cool. I'd like her that way! As for JoAnn's. Ordered once from them. Nuff said. So sweet! Always love a strip of text to ground an image! It's perfect here! love love love this . Your design is perfect as is your coloring. Oh how cute is Penelope with her BIG pencil :-)! You card is so sweet, Darnell. Great coloring her also. What a darling card Darnell, and no scoop to tell you on Joann's. Cute card! Haven't heard anything about Joann's sure hope they're not going out of business. We have one not too far from us, and I do enjoy shopping there. (even though their craft department seems to be getting smaller and smaller. Maybe you'll read this... I'm way down here! 1) this is adorable, and I'm totally down with the purple hair! I'm sure it's cute black too... 2) Hubs tried to give me a JoAnn's GC in March and had such a horrible time with it-- he ended up having to go through Michael's! I don't know what's up, but I do know something is screwed up! Good luck. This is an adorable image, Darnell, and I love the CAS layout. Isn't it strange what cameras do to colour. I started out using a camera to take my card pics but my purples would always turn blue so now I just use my Samsung phone camera...nothing fancy here! It's clearer and the colours are pretty much bang on. Sorry I've been a rubbish commenter lately (not visited you for ages!) I blame work and the fact that days only have 24 hours....I need more crafty blog time. Can't wait to see you in July...squeee!!! Very cute card. I bought my granddaughter a gift card for Christmas guess I better check and see if she had any problem. JoAnn's and Michael's have both been doing such heavy advertising on TV. Our JoAnn's is old and sucky and I don't like to go there but the talk is they are going to remodel the entire shopping center. I was so excited when Hobby Lobby finally opened close by, "Be careful what you wish for." They have 20 year old males operating the cash registers who don't know scrapbooking from needlepoint. Oh don't get me started, but it is no wonder we shop over the internet. Well have a lovely week. Perhaps Penelope sucked her nose right into her head cuz she was struggling so hard to keep this big-_ss pencil in line!!! Gorgeous card! I really like her 'wisteria' colored hair. Looks quite punk. Great idea to add the subtle script! Yep - Winner, Winner Chicken Dinner!!! I love this card!! Such a wonderful contrast between the enormity of the pencil and the tiny and elegant font of your text. And, no clue about what is happening with Joann's. Perhaps they are suffering a huge downturn in business because I have not ordered from them in months? Adorable card Darnell, love this beautiful coloured image, purple or black hair is still fabulous. Wish I could do CAS cards!! Such a darling stamp, and your coloring is just beautiful, Darnell! Love your CAS design, too! Love Penelope's wisteria wonder hair ~ it's so "in" right now to have colored hair! :-) Such a fun card. Thank you for joining us this week for the Pals Paper Arts Color Challenge! This is so stinkin' cute Darnell! Thanks for playing with Pals Paper Arts Color Team this week. Hope to see you again next week. What a cute card! I love how you used the sketch with the text stamping as the horizontal element and she's writing it at the same time. Love the soft coloring too! I thought that you purposely (or, as you would probably put it, "porpoisely") colored the little girls hair in a lovely lavender shade so that's very puzzling to hear that it's actually done with a black Zig pen. Either way, she is adorable and I love that huge pencil! I hope you explained to the hamsters that adding a dot for a nose would open a door that you do not want to open. If you add a nose, then you are forced to add a mouth. If a mouth, then why not eyebrows? Once you add a complete face, you will be forced to find her gainful employment. So it's best not to even start down that road. Besides, she is cute the way she is!! As for JoAnns, I hadn't heard anything about problems with them, but I the only times I've purchased a gift card from them was in person. Hope they get back to you and resolve the problems soon. Darnell, I just saw that several purchasers of JoAnns e-gift cards said that e-cards are not accepted in many of the stores, but are only good online. Just another irritation to consider when buying JoAnns GCs, and something to be aware of. Hi Darnell, what a cute stamp! I love this card. SO CUTE!!! Great CAS card!!! Penelope is a sweetie even without a nose and mouth. Love the little note she's written! It seems like it takes Joann's an unusually long time to answer emails. Good luck! Oh, how adorable! The image is so sweet, and I love how you've used the colors. Such a great card! Thank you so much for playing along with this week's Pals Paper Arts Color Challenge! I adore Penelope and her BIG pencil. I enjoyed your blog post just as much. So glad the hamsters like strawberries because she looks just as adorable without a nose. Thanks for sharing your creativity with the Pals this week. That is rather a large pencil for such a little girl to wield. I hope the hammies didn't make any mess with the strawberries. I''ve seen how a hamster eats a strawberry. yuk. Dun no bout JoAnn but it is disaster here as BHS (British Home Stores) has just gone bust an that's where I get me knickers and bras, and swimmy suits from. Whats s gal gonnna do!! Did you know that there are only 83 Darnell seeps left. hugs Mrs A. Are you kidding me?! They charged $1 for a gc?! I just got notice that my order has shipped (couldn't resist the sale & $1.99 shipping) & it better get here OK! If I'd read this first I probably wouldn't have ordered from them. Poor Customer Service is unacceptable! On a happier note--you've made great use of your justified purchase--haha! Cute card, my friend! Simply darling card, Darnell! I love how you colored in this image so beautifully - plus your layout is so crisp and clean. Wonderfully done, especially with all of these challenges. Thank you so much for joining us this week at the Pals Paper Arts Challenge, we hope you play along with us again soon! Awwwww gorgeous card Darnell! love your colouring on this cute little image. 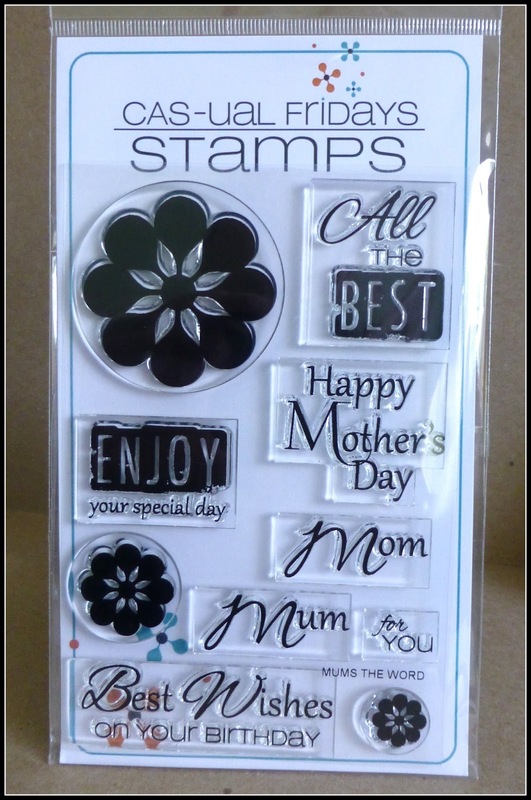 I have yet to buy a Stamping Bella image but they are, needless to say, on my list! I should be looking for a job at the moment, but your blog is way too much fun. Hi to you too! Love this card Darnell! Beautifully done! The image is so adorable and your colours are really beautiful! It is definitely a cute card. The little girl writing with a huge pencil is an adorable image, but I understand your crafty hamsters, after all they are used to seeing human figures "wearing" a nose, or maybe they just love strawberries too much :D. You are priceless! Thank you for your visit... you may be surprised one of these days. Oh my gosh, this is cute! I love the text panel and that sweet little girl image with the gigantic pencil! Thazzalottalead! This is adorable - I love it! Penelope is perfect as she is and I'm glad you kept the hamsters away. Noseless = cuteness. Hope your weeks is fabulous! 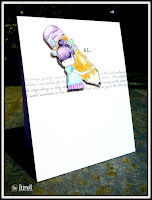 Love that fun large pencil card...too cute! I have never done much with JoAnns on line just in store once in awhile. Hobby Lobby is closer to me and I love their CS. Sorry hope you get it worked out . Penelope is adorable with her huge pencil and I love her purple hair. Cute card. I have ordered from JoAnn's and they are very slow shipping out the order. I ordered my Fuse from there and in three weeks they notified me it was out of stock. It was not out of stock when I ordered it so that put me kinda off them. I've never purchased a gift card but I have heard of companies charging a fee each month it's not used so the card can really lose value. That should be against the law. Lovely! A very cute card & I actually love the purple colouring even if it isn't meant to be! 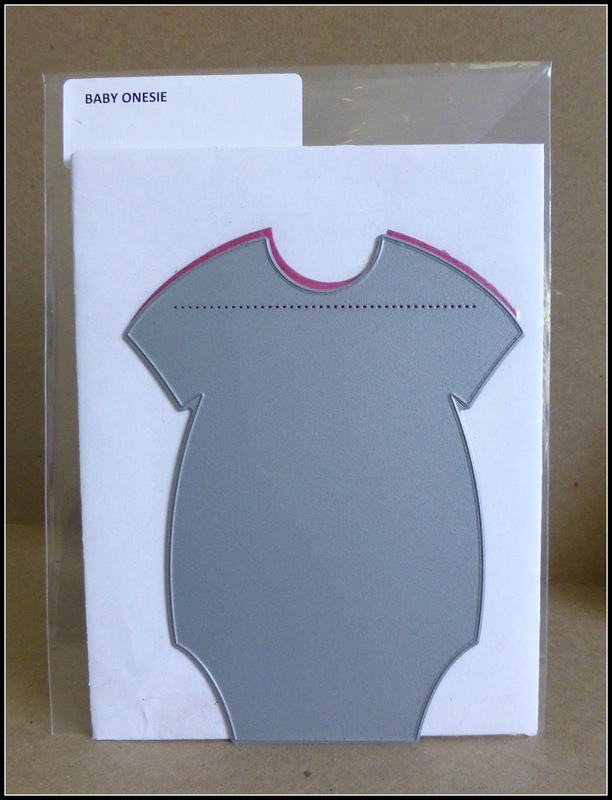 Simply amazing card Miss Darnell...just love your little sweetie. She reminds me of some of my preschoolers trying to write with the fat pencils we use, so cute. As for Joann's, my guess is that since I stopped shopping there about a year ago (found a much better fabric store in Berkeley, it is well worth the drive), they may be going out of business. I did pop in there last Saturday but only to get a print costumed framed and we told there was no one working in that department today! I said are you serious???? I said that would be like telling customers that needed fabric cut that so sorry, too bad our cutters did not show up today! Simply crazy in my book! I told them no worries I will take my business to Michael's! So good luck! What a cute and fun take on the CTS sketch, Darnell! Maybe you should let your hamsters put the dot,as I want to do it now, too :)! Thank you so much for the lovely comment on my blog! I felt compelled to drop everything [life is nuts] and come by to tell you that little Penelope made it to my favorites list this week ... so thank you for sharing this adorable-ness. I am back to congratulate you on winning over at CAS(E) this sketch! Woohoo! Well deserved! For someone not feeling well you sure are racking up the challenge wins. Great card deserved this CTS honor. Hope you'll start feeling better real soon. Hugs. You are on a winning roll! Love the line made out of script. Congratulations! Congratulations Darnell on your CTS win. Love the card! Congrats for being our proud winner at CTS with this cutie Darnell ! Wicked cute!,,,congrats on your win! Great card Darnell!! A well deserved win my friend!! Just too cute for words!! Congrats.